When RBI and PayPal Issues started, the per transaction limit was 500 USD but PayPal managed to get it to 3,000 in few months time then and as of today July 29th, it increased to USD 10,000 per transaction. 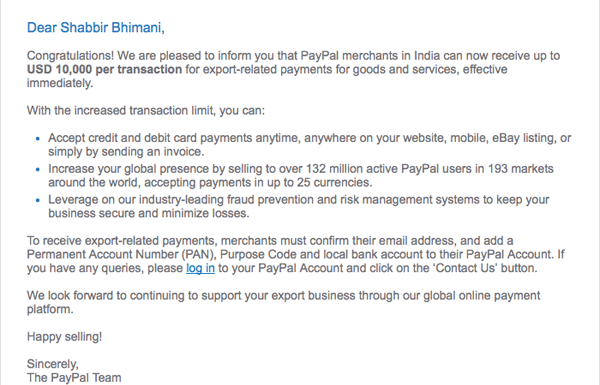 Got this email today from PayPal. 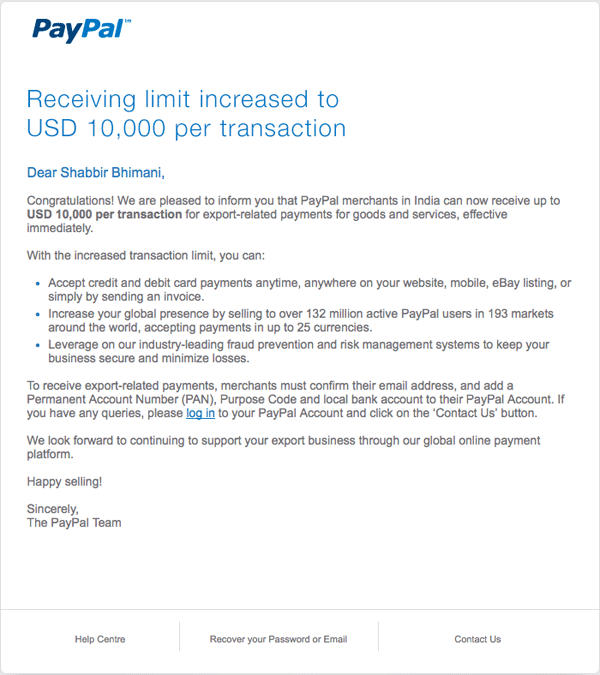 The only concern I have now is I got this email only in my personal PayPal account and not in my company account and it could be that they have done this limit increase only in selective accounts. Update: Got the same message in my personal and business accounts.